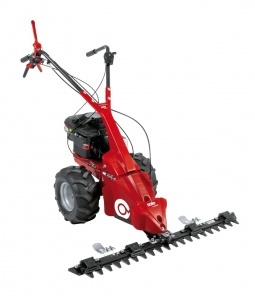 A versatile 87 cm cut scythe mower. 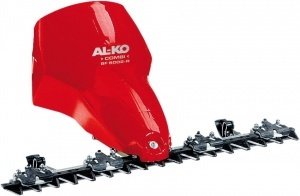 Designed to cope with thick, matted weeds as well as tall grass, the AL-KO BM 870 III is your solution to managing wildflower meadows or more natural gardens. Vibration damping helps to increase comfort while reducing fatigue during operation, and the height adjustable handlebar ensures you can get the ideal working position for you. With its 87 cm cutting width and large, pneumatic tyres, it is also simple to control with excellent agility, able to work smoothly even over rough terrain. 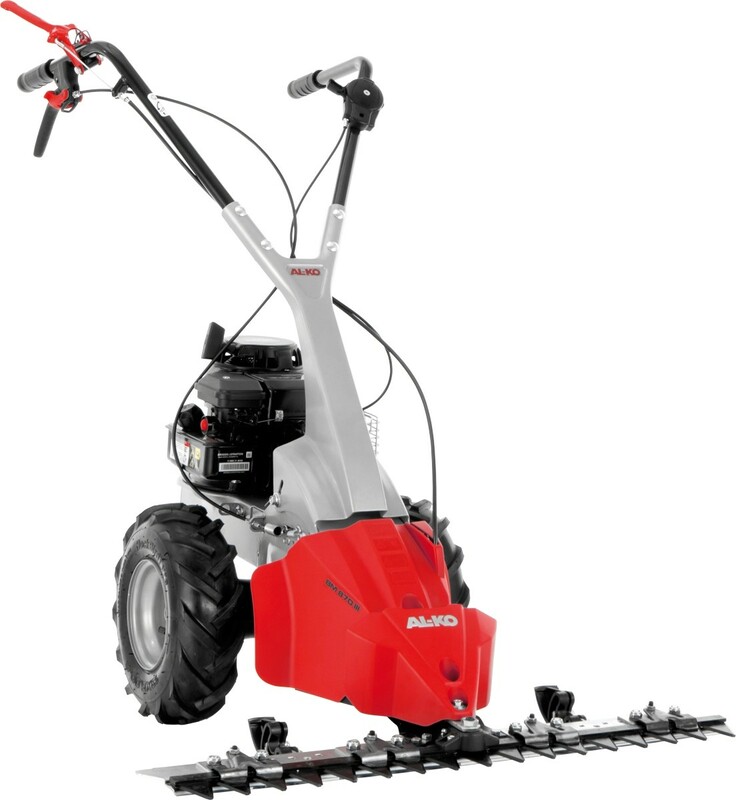 The adjustable handlebars mean you can even transport the machine without difficulty. The mower mechanism's drive system is enclosed, which helps to minimise contamination, in turn benefiting operating times and service life. The ESM blades are specially hardened and have infinitely height-adjustable outsoles, adding to the durability of this mower. As the engine is also manufactured by Briggs & Stratton, you can also expect excellent reliability in that department too. Most conventional mowers will really struggle with tall grass or thick weeds, but scythe mowers come into their own in such environments. As well as the intelligent, durable design already mentioned, the BM 870 III also features a movable grass deflector, which makes sure no grass is left lying on the cover and improves grass depositing due to the shorter distance between wheel and beam.